A girl from modest upbringing achieves a degree in biochemistry, becomes a patron of the ballet, a national celebrity and creator of a game changing restaurant. Tolstoy couldn’t have written it better. Meet Matilda Shnurova. Moreover, they spoke of this young woman: a celebrity, fashion icon, patron of the arts and owner of the city’s most coveted restaurant. Naturally I was intrigued. Two years later I had the pleasure of spending a couple of days with this unimpressed, yet kind and humble entrepreneur who so effectively puts action behind her words, thus serving as role model for many Russian women within the country’s growning restaurant industry. In the food world it’s mostly the chefs that are the ones praised for pioneering or revolutionising what and how we eat. But as often as this is true, some of the unsung heroes are the people who find themselves as financial and front of house creators instead of over the stove. One of these is Matilda Shnurova, who has pioneered the slow-food way of thinking in Russian cuisine. You just didn’t know it. But for the Russians, Matilda Shnurova needs no further introduction. She is well known as one half of one of Russia’s super couples, having been married 11 years to rock star Sergey Shnurov, lead singer of popular rock band Leningrad. But now she is making her mark as a talented food entrepreneur, having created one of the most trailblazing restaurants in Saint Petersburg. She has placed the focus firmly on local products and a re-imagined version of traditional Russian cuisine. Igor Grishechkin is the creative Executive Chef responsible for creating the jaw-dropping dishes at CoCoCo. But his talent is just 50% of what makes the coveted restaurant so popular – the yin to his yang is undoubtably Matilda. 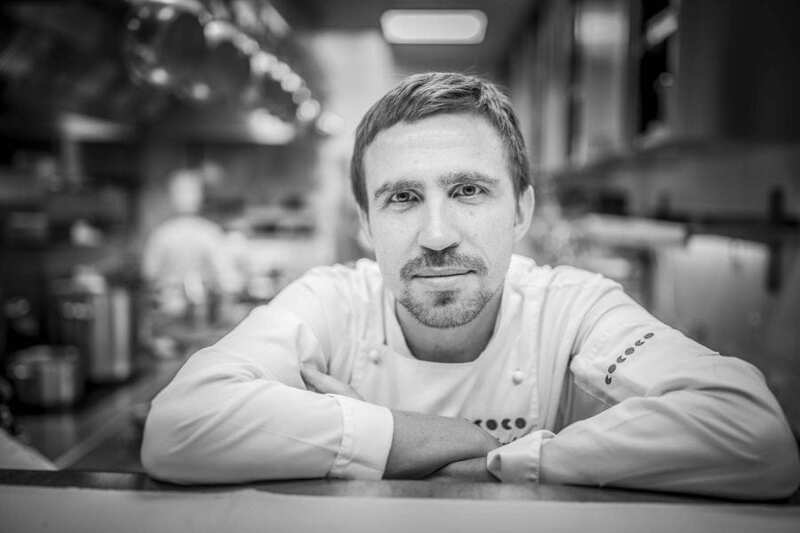 Igor Grishechkin, Executive Chef of CoCoCo. Born in the southern part of Russia, Matilda moved to Moscow at the age of 16, where she lived for five years before settling in Saint Petersburg. With a background in biochemistry, she quickly found out it was hard to balance her academic career with her lifestyle as one half of the Russian Brangelina. 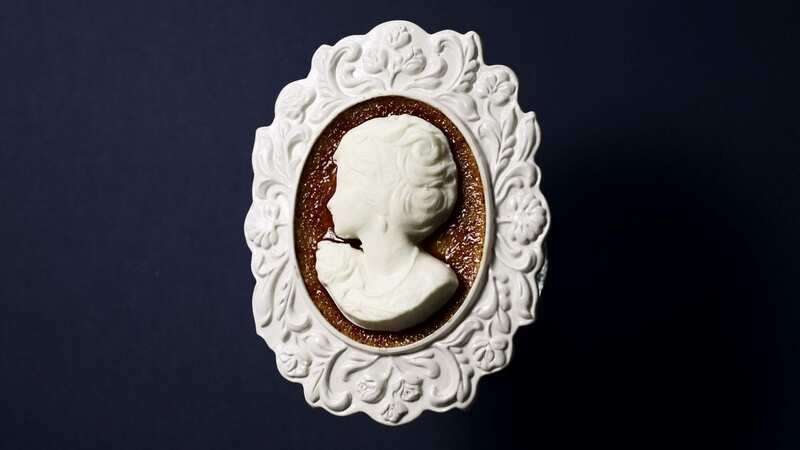 But instead of relying on her fame and fortune to live a Real Housewives of Saint Petersburg-esque lifestyle, the driven and entrepreneurial Matilda turned to her childhood passion of cooking. This early introduction to food stayed with Matilda, who has always had an interest in nutrition and the importance of knowing exactly what produce you should put into your body. Looking back, she realises this was also one of the forces that drove her to an education in biochemistry. It was a way for her to turn her proverbial organic and biodynamic lemons into lemonade. After getting acquainted with the ins and outs of the hospitality business through a bar she had invested money in, Matilda was ready to level-up. The meeting with Igor sparked the flame. Soon after she created the concept of CoCoCo, with a clear vision and mission. Just four months later they would open their doors with a revolutionary concept: to rethink, represent and reorganise Russian cuisine. Although prominently known for her work at CoCoCo, this wasn’t however Matilda Shnurova’s first business endeavour. Her keen eye for spotting a demand in the market is displayed in her first project, when she opened a ballet school in 2010. The idea came from her interest in the world of ballet and the lack of opportunities that the city had to offer. Matilda Shnurova at Isadora Ballet. “I never studied ballet as a dancer, but it was an important hobby for me. When I moved to St. Petersburg I found it peculiar that there was no ballet school that offered the art on a level for people like me. Instead of crying over spilt milk I thought that if there was nothing on offer here, it didn’t mean that there was no market for it. I did some market research and in 2010 I opened the school named ‘Isadora’”, Matilda says, she adds that the Saint Petersburg has the Alexandrinsky Theatre and the Mariinsky Theatre, both two internationally acclaimed theatres. Both Isadora and CoCoCo grew very successful with Isadora quadrupling in size and CoCoCo moving to a much more upmarket and lavish location. “We are very fortunate. When we started we had only 50 seats plus 20 in the bar. After three years we got so successful that we had to move. We are now the restaurant to the Sofitel Hotel in Saint Petersburg (previously operated by W Hotels). Right next to the Four Seasons, Astoria Hotel and close to the Grand Hermitage, so in a beautiful and extravagant area of the city”, Matilda says and adds that the road to success took blood, sweat and a good amount of business acumen. To secure the location, Matilda presented her vision to the board of directors of the hotel. Impressed with her presentation and vision, they signed the papers, catapulting CoCoCo into servicing an astonishing 15,000 guests a month from breakfast through to dinner. The restaurant has definitely shown that Russia is not just a one trick pony and has alot to offer, like Moscow’s beloved White Rabbit. 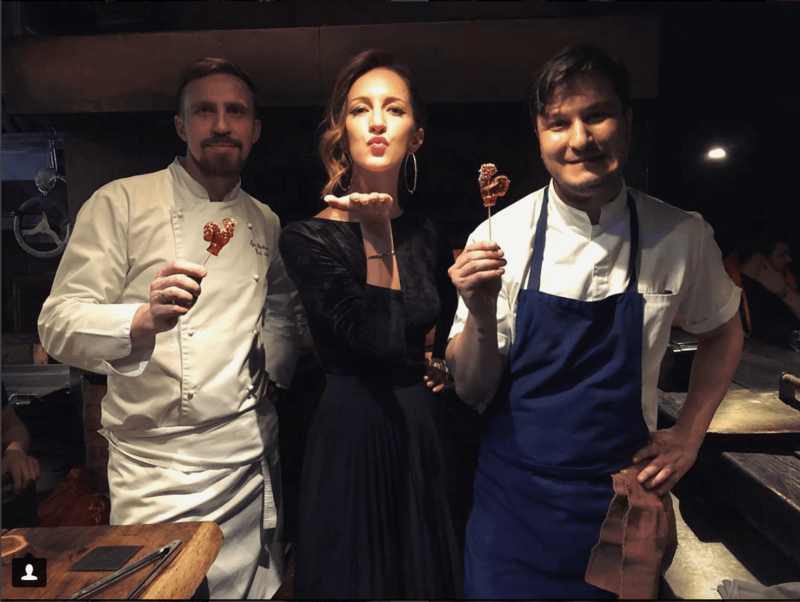 Since their opening in 2012, CoCoCo has brought attention and focus to slow food and biodynamic produce, and placed it at the forefront of Russian consciousness – unlike any other restaurant in Russia before them. At a time when all restaurants bought their products globally and restaurant owners and chefs didn’t want to work with local farmers, because it was difficult to control the quality and quantity, CoCoCo swam against the stream. Press play and experience the kitchen at CoCoCo. But what is it exactly that makes Russian cuisine stand out? We have no difficulty pointing out typical dishes from France, Italy, Japan or America, yet the Russian food DNA is not that apparent. Matilda explains that it comes down to some very basic things. “Well firstly it is very high in calories because Russia is a cold country and we need that extra layer of fat to keep us warm. It has been like this since the dawn of time. It is very similar to Scandinavian cuisine as we have a lot of the same ingredients, and are climatically similar. The techniques are very different, which again comes back to our very harsh climate. Because of our long winters, we have a long history of preserving food, which is very original and unique to us. We often ferment, dry and pickle food.”, she explains. 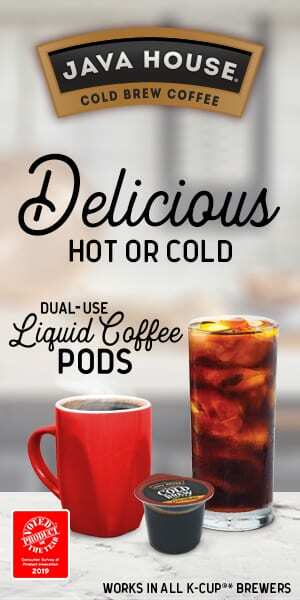 This is what you also get at CoCoCo. 25 years ago when foods from other countries started really coming to Russia, a lot of people were interested in trying these new and unique flavours. According to Matilda, there really wasn’t any restaurant that focused on Russian cuisine. What CoCoCo does is that it takes the traditional ingredients and techniques of Russian cuisine but makes them modern and interesting – giving the rich Russian heritage a second breath, making it popular amongst hip millennials now too. It’s Russian food presented anew. “Plus, Russian food always gets better when it’s washed down with a strong vodka”, Matilda adds with a laugh. 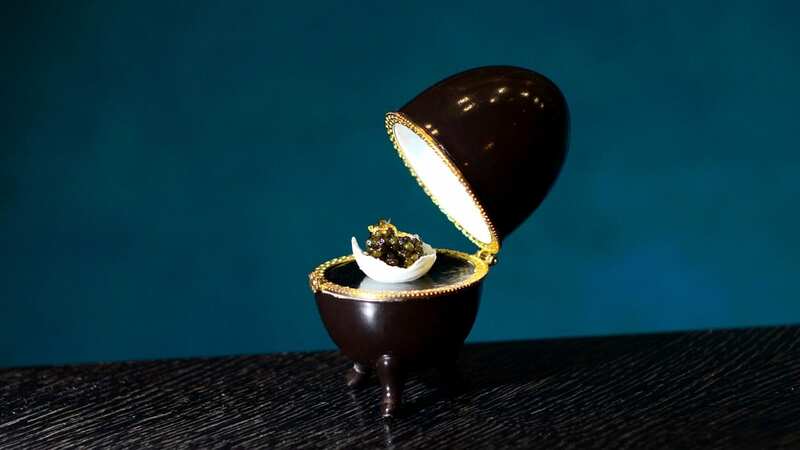 Served at CoCoCo: The Fabergé egg immediately evokes emotions of history and the Russian Imperialism by creating a white chocolate version with caviar, sauce hollandaise and gold that recalls the famous Easter jewel that Tsar Alexander III gave to Empress Maria Feodorovna (Dagmar of Denmark) each year. As a big foodie, Matilda Shnurova always has culinary experiences high on her list, whenever she travels. Having tried restaurants from East to West, her eyes are used to picking up on the trends. Matilda herself believes that currently, one of the biggest trends is the thought and processes put into the food, rather than the final product. “I admire him as a team builder in a way I haven’t seen in any other restaurant. No one does what he does. Whenever I go there I know so many team members and I haven’t experienced this anywhere else. He is a very good leader in gastronomy and he took a risk to be different. He is one of the greatest influencers and role models in the modern world. Of course he is a great chef but even more than that – I would call him a role model. CoCoCo happened as a result of him. We looked at them and understood that we have the ability to be free in our expression.”, she explains. Matilda acknowledges the fact that she works in an industry that is predominately controlled by men, with only very few females in the upper echelons. The respect didn’t come immediately though, and she recalls a time when people were skeptical of her vision and ideas, and thought she was just another rich trophy wife spending her husband’s money. With her go-getter attitude she quickly proved them wrong. 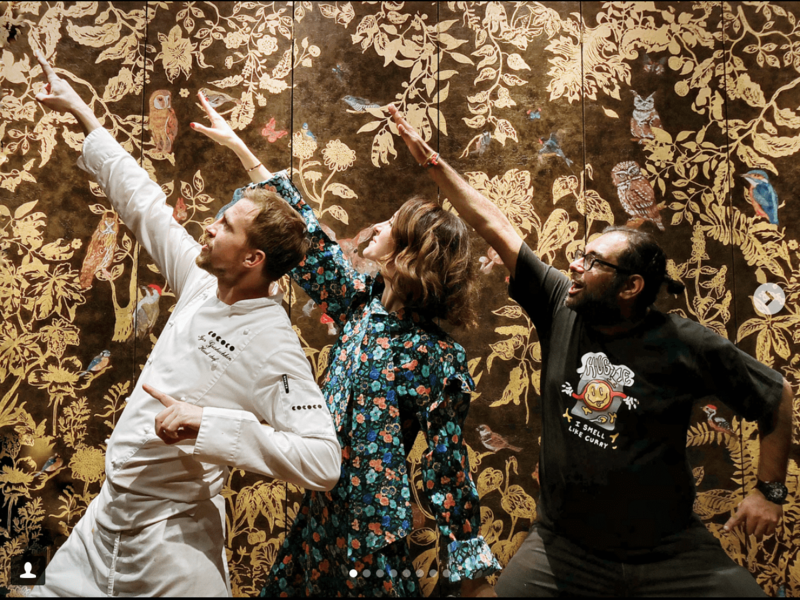 Igor, Matilda and Gaggan at CoCoCo. A sommelier turns professional bon vivant and culinary ambassador with one of the world’s best rolodexes. 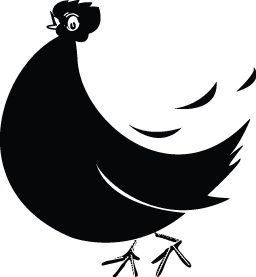 Founder of Bon Vivant Communications - a global gastro embassy specializing in culinary diplomacy, exclusive dinner parties, cultural marketing, filmmaking and entrepreneurism. Host of Dining Impossible. Creator of star chef world tours. Culinary Producer of Michelin Stars - Tales From the Kitchen.